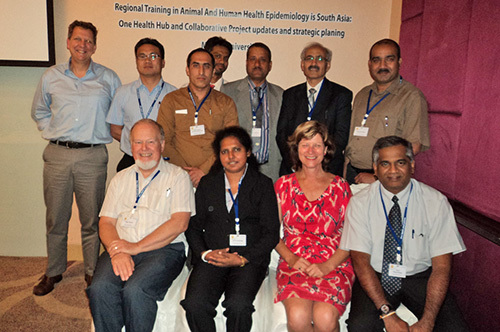 In 2009, a European Commission evaluation mission identified an urgent need to further applied epidemiology skills in human and animal health within South Asia. To fulfil this need, the One Health Network-South Asia was created, funded by the European Commission under the Avian and Human Influenza Trust Fund, administered by The World Bank and implemented by Massey University. 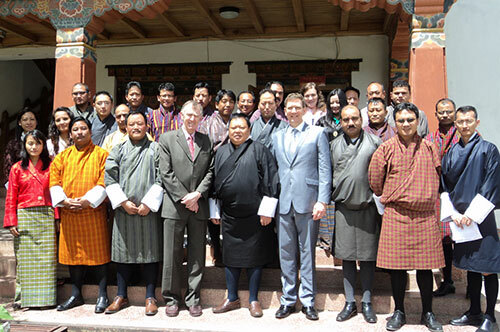 Dr. Peter Jolly, One Health Project Manager for South Asia, visited Bhutan's National Centre for Animal Health in early 2013 to finalise Collaborative Investigation Projects (CIPs) now underway in Bhutan. One Health Bangladesh, in collaboration with the One Health Secretariat, Department of Livestock Services, Directorate General of Health Services, Forest Department, International Centre for Diarrheal Disease Research, Bangladesh (icddr,b) and other partners, is pleased to announce its annual essay competition to celebrate global One Health Day on November 3, 2018 (download notice). The Institute of Epidemiology, Disease Control and Research (IEDCR), Ministry of Health and Family Welfare hosted the Awards Ceremony on 1st June, 2017 celebrating successful completion of the two-year One Health Epidemiology Fellowship Program. This 8-week-long Massive Online Open Course (MOOC) is offered by St. George's University in Grenada, West Indies. The course is open to persons interested in the knowledge and application of medicine, veterinary medicine and public health. Now in its fourth edition, the MOOC attracts an average of 800 learners and offers educational and professional certification credits for participants. The 2nd International Conference on One Medicine One Science (iCOMOS) was held on the St. Paul campus of the University of Minnesota from April 24-27, 2016. Two Fellows from the One Health Epidemiology Fellowship Program, Dr Swagat Nepal (MVM) from Nepal and Dr Muhammad Asaduzzaman (MPH) from Bangladesh, were awarded travel grants by the meeting sponsors enabling them both to attend and present posters at the conference. 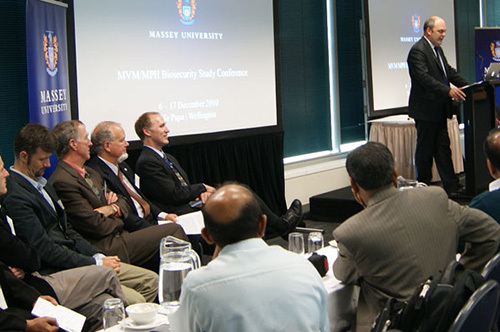 Dr Eric Neumann, part of the Fellowship training team at Massey University also attended the meeting. Massey University is implementing a new One Health capacity building program entitled Integrating Education and Action for One Health. 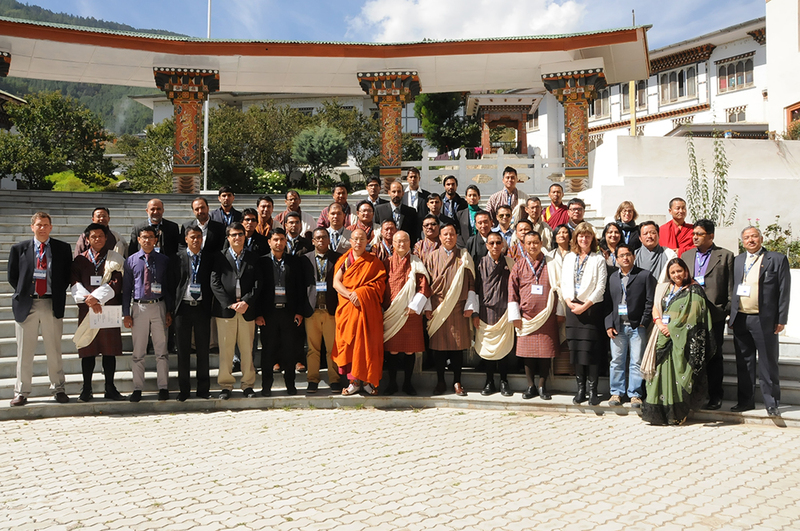 The Program is being offered in Afghanistan, Bangladesh, Bhutan and Nepal from April 2014 to March 2017, funded by the European Commission under the One Health Programme in Asia (EuropeAid/133708/C/ACT/Multi). FREE Webinar: Registration is Now Open. Speakers include Edward Breitschwerdt, DVM and B. Robert Mozayeni, MD. A new One Health program is helping improve detection and management of diseases spread from wildlife and animals to humans in Afghanistan, Bangladesh, Bhutan and Nepal. The three-year program Integrating Education and Action for One Health, to complete in 2017, is funded by the European Union and implemented by Massey University of New Zealand. 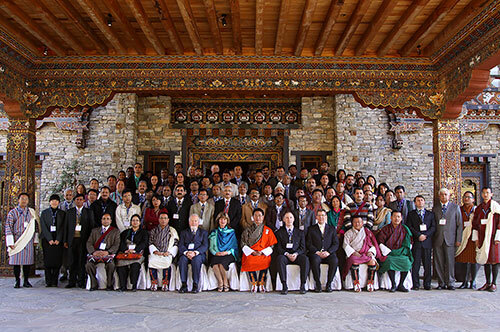 Scrub typhus is an emerging disease in Bhutan that was first diagnosed in 2008. The Sri Lanka Leptospirosis Project aims to identify risk factors and reservoir species for Leptospirosis in Sri Lanka. View preliminary results. Nepal CIP has now completed collection of convalescent blood samples from the human participants and simultaneously sampling their domestic animals and rodents trapped in their household. View preliminary results. 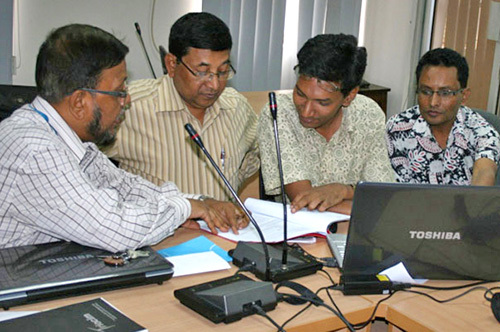 This case-control project has completed collection of questionnaire data from the targeted number of 200 people with cutaneous anthrax and 400 control people without anthrax from 10 Upazilla Health Complexes in north-western Bangladesh. View preliminary results.